The failure of the New York State government to approve the DREAM Act this year was stunning. 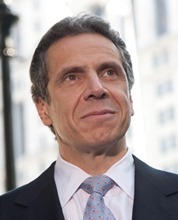 Some pointed to the lack of real support by Governor Andrew Cuomo, whom they felt was more consumed about his reelection this year than anything else, while others pointed to the political machinations of Bronx State Senator Jeff Klein and his Independent Democratic Conference. Still others blamed the opposition of the Republicans in the State Senate for the defeat. Then there was the recent Siena Poll that showed little overall support for the legislation. Even the Dreamers, the young people and their allies in the community and labor promoting this bill, were blamed by some for not mounting an effective enough campaign. The unfortunate part of all this is that this “blame game” mechanism for avoiding accountability is something that has been raised to the level of an art form in Albany. But what hasn’t received enough attention as the main cause for this failure to adopt a bill that its sponsor, Queens State Assemblyman Francisco Moya, repeatedly termed a “no brainer” has been the role of the Latino state legislators themselves in this process. Had they, as a group, been seriously strategizing to pass this legislation or were they just “DREAM Acting” like they were? The DREAM Act issue, they argue, has brought them together like never before and they saw as a victory the fact that they were able to get a couple of audiences with the Governor to discuss the issue and to get him to in the end mumble something about this issue being a priority for him. The fact that, although its program was not set up this way, the recent Somos El Futuro Conference in Albany of these state legislators became focused on the need to pass the DREAM Act was also spun as some sort of victory by the legislators and even the community advocates themselves. But, in the end, the DREAM Act did not pass in the State Senate and was not included in the final state budget proposal. There are currently 16 Latinos elected to the State Assembly and 6 to the State Senate; in the Senate, all are NYC Democrats, and in the Assembly, all but one are Democrats and all but three represent New York City. They make up 11 percent of the total Assembly members and 10 percent of total members of the Senate; of the influential New York City delegation, they make up 20 percent of the Assembly and 23 percent of the Senate. They have developed mechanisms to promote joint action, including the Assembly’s Puerto Rican/Hispanic Legislative Task Force, the Senate’s Puerto Rican/Hispanic Task Force, and the joint Black, Puerto Rican, Hispanic & Asian Legislative Caucus. There is also an Unidad Latina initiative of the NYS Senate Co-Leader Dean Skelos that holds an annual conference on Latino concerns. The Latino state legislators, as a group, failed the DREAMers on this issue and the general Latino community in general. It is clear that despite all the assignment of blame to other political actors that the bottom line is that the Governor and the legislative leaders in Albany simply have no respect for our Latino representatives. A good indication of this is the Governor’s absence from both the Somos El Futuro Conference in Albany and Puerto Rico. And this was reinforced by their continually issuing wolf tickets on pressuring the Governor, ultimately refusing to challenge him on his state budget by collectively voting against it, whether or not I would pass. The fact that they felt that simply getting a meeting with the Governor that led nowhere was some sort of victory is just plain pathetic. As the Republicans intransigence in opposing the DREAM Act, does it make sense for leaders in the Latino community to continue to support this hypocritical outreach by the state Republicans? I don’t think so. It is clear that the DREAM Act debacle is occasion for serious rethinking of the role of the Latino state legislators as a group, as well as community leaders. They are a fragmented lot, consumed in petty political gamesmanship with no coherent Latino legislative agenda. The state of the Latino community, however, can no longer afford the luxury of such an ineffective political class. •	The state Latino legislators need to make the fair representation of Latinos in state government positions a major priority. According to the last report available, despite being 17 percent f the state’s population, Latinos make up a miniscule 4 percent of the state government work force. In addition, Governor Andrew Cuomo’s record of Latino appointments has been a disgrace — of the 89 state agencies, only 3 (or just 3 percent) are headed by Latinos: Cesar Perales as Secretary of State; Arlene Gonzalez-Sanchez, Commissioner, Office of Alcohol and Substance Abuse; and Peter M. Rivera, Commissioner, Department of Labor (who is rumored to be leaving soon). There is no significant presence of Latinos in policymaking positions in the Andrew Cuomo Administration (a legacy from the time his father was Governor). What has been the role of our Latino state legislators in addressing this long-term problem? •	The Latino state legislators need to press for a mechanism in the Executive branch to compensate for the near absence of Latinos in policymaking positions appointed by the Governor. Perhaps this Governor Cuomo needs to reconstitute a mechanism his father created when he was Governor, the NYS Governor’s Advisory Commission on Hispanic Affairs. These advisory bodies focused on Latino affairs exist in a number of other states. These are but some initial steps that New York State’s Latino legislators need to take to reconnect to the communities they serve and to maximize their collective influence. But to do so, they would have to put the best interests of the Latino community first and in the process grow a pair. The disappointment of the children of the undocumented that they failed because of the DREAM Act debacle is shared by far too many other Latinos in this state. The Latino state legislators now need to restore whatever faith our community has in them and stop blaming others for their collective ineffectiveness and lack of accountability. Well, maybe I’m just dreaming that this could happen.